I never miss a chance to visit New Orleans from my home at Crozat Plantation B&B – especially around Christmas. Colorful any time of year, the city truly sparkles at the holiday. Tiny white lights draped around Canal Street lampposts, sparkling decorations hung from the antique wrought iron balconies of the French Quarter. But one thing I’ve never loved is the small-minded attitude of some of the Crescent City’s upper class residents. Like the Garden District’s Charbonnet family. Adelaide Charbonnet, the family matriarch, is superior, racist, and anti-Semitic. Ironic, considering Steve Harmon, her murdered son-in-law was Jewish. Her son, Philip Charbonnet, is an arrogant lecher and opportunist. Daughter Emme is the most likeable member of the family, partially because she detests her mother and brother so much. But complicating matters with Emme is she’s obviously in love with her late husband’s driver and bodyguard, Dan Levy. Still, if spending time in the Charbonnet’s elegant nineteenth-century mansion is what it takes to garner clues to Steve’s murder – who happened to have been a B&B guest, albeit the worst one ever – I’ll do it. I’ll try to hold my tongue when Adelaide lets go with one of her judgy, prejudiced pronouncements. I’ll deflect every time that creep Philip tries to put the moves on me simply because my family’s been in Louisiana so long it gives us some ridiculous social status he wants to glom onto. And I’ll subtly check out the relationship between Emme and Dan, who seems the only person in the household actually grieving the late Harmon, a ruthlessly successful businessman. I have to wonder if there’s some clandestine secret as to why Dan cares so much. When this endless social call is over, I’ll escape to the French Quarter and relax with a Pimm’s Cup and bowl of jambalaya at one of my favorite Vieux Carre haunts like the Napoleon House or The Gumbo Shop. I’ll share details of the visit with my boyfriend – yes, that’s right, Philip Charbonnet, I have a boyfriend, so lay off! – Detective Bo Durand, and we’ll sift through the conversations for clues. And perhaps, lulled by drinks and the festive French Quarter atmosphere, Bo and I will take a break from sleuthing, retreat to the gorgeous Reveille New Orleans hotel, and take our relationship to the next level. But that will depend on whether or not we can get murder off our minds. Readers, have you ever been to New Orleans? If so, did you have a favorite site or eatery? If not, what would be the first thing you’d do if you visited the city? 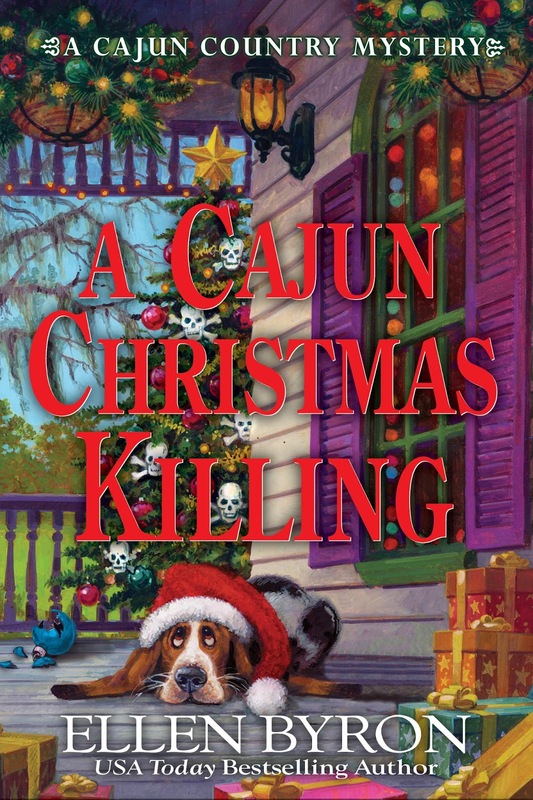 Ellen Byron writes the Cajun Country Mystery series. In a starred review, Publishers Weekly called her new book, A Cajun Christmas Killing, “superb.” Body on the Bayou won the Lefty Award for Best Humorous Mystery, and was nominated for a Best Contemporary Novel Agatha Award. Plantation Shudders, was nominated for Agatha, Lefty, and Daphne awards, and made the USA Today Bestseller list. 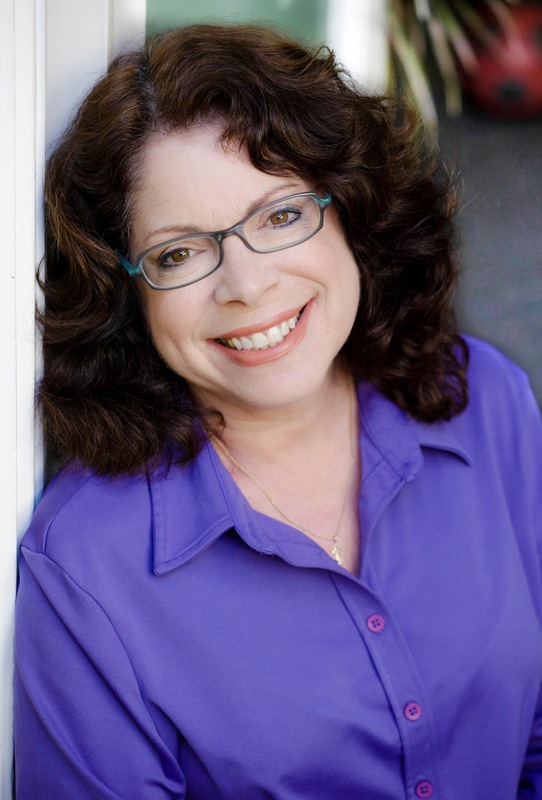 She’s written over 200 national magazine articles; published plays include the award-winning Graceland; TV credits include Wings, Just Shoot Me, Fairly OddParents, and pilots. Ellen lives in Studio City with her husband, daughter, and two spoiled rescue dogs. The voodoo museum is great!! I hope you get there, Debby. I haven't been there yet, but it is somewhere I would love to visit. Something about beignets and chicory coffee calls my name! I am a fan of NCIS New Orleans and would love to visit there one day. I'm also a fan of your books and own the first two in the series. I'm looking forward to acquiring this new title for my collection. Nora, thank you so much. You really must go sometime. If you do, let me know! I'll make a few suggestions. And guide you to some of the places in Cajun Country that inspired me. I LOVE Napoleon House. They make the best Pimm's Cups. That's been my NOLA drink of choice since college. They also have great, reasonably priced jambalaya. New Orleans is one of my favorite places! The food, the history, the people, the music... I love it. Cafe Maspero is my favorite restaurant. It's one of mine, too! If not my total favorite. For all the reasons you said. And I love Cafe Maspero. I've not been to New Orleans-----but if I ever get the chance to go the first place I'd head for would be a jazz club. Sue, you'd love the clubs on Frenchman Street. I was there Saturday night at a club called Maison, and the music was amazing. The street was PACKED. It might as well have been Mardi Gras. You can even just stand outside a club and listen. But the entire street was a party! I'm so sorry for the delayed replies, everyone!! I got my days mixed up. Love the comments, though! We have been three times. I could never get my husband to agree to go. I made reservations and gave the trip to him for a birthday present. A bit self-serving and underhanded on my part, but we had a great time and he has wanted to go back since. The first time we went, it was the week after Mardi Gras and St. Patrick's Day. Great parades ad good weather. We stayed in the Garden District the first time, and have been in Old Town since. Health issues made it a bit hard to enjoy our last trip as much as we usually do. I enjoy riding the trolleys. The WWII Museum is excellent and across the street form it is an interesting Civil War Museum.